For Mohsen Bahmani-Oskooee of the Economics Department, the 2017 commencement ceremony was a milestone event. 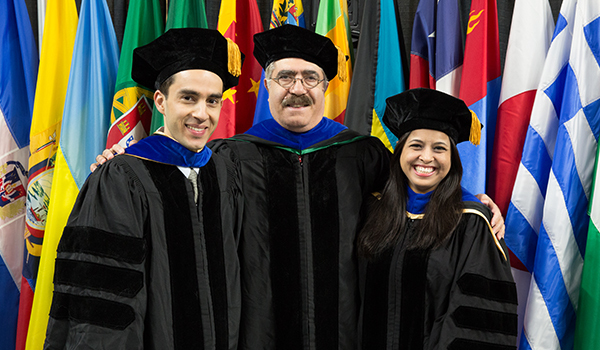 That Sunday, he placed hoods on his 49th and 50th doctoral students: Seyed Hesam Ghodsi and Sujata Saha, respectively. 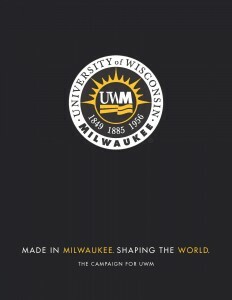 He believes he holds the record at UWM for the most doctoral students produced by a single professor. Philanthropic support is also a key element to a PhD student’s success. Gifts that help doctoral students defray costs of traveling to conferences or submitting papers to academic journals have a real impact. “A hundred dollars might not be that much for a faculty member, but for a graduate student, that’s a lot of money,” says Bahmani-Oskooee, who is also director of the Center for Research on International Economics. The center was created through a gift from Patricia and Harvey Wilmeth.